As we are thinking about redoing our downstairs half bath, I have bathroom tile on the brain. 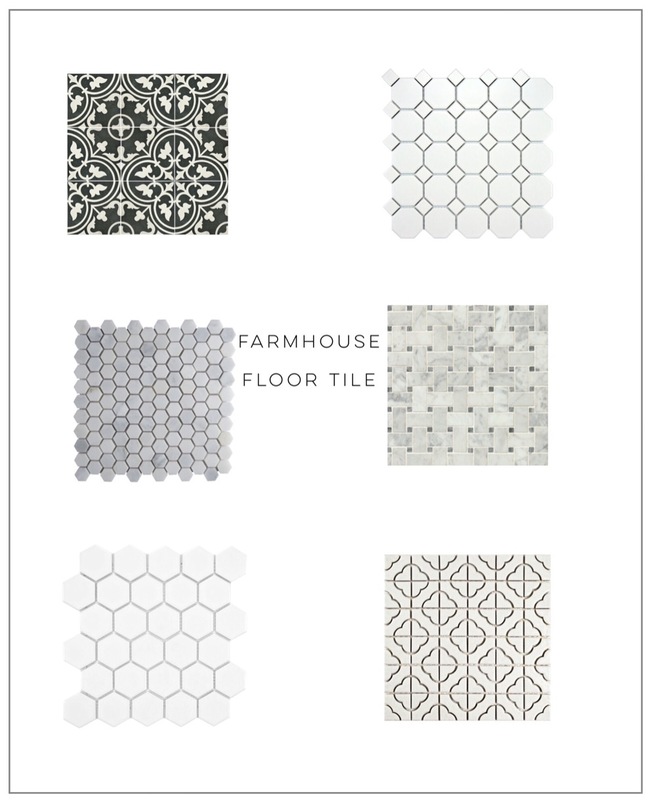 I have looked at thousands of different styles, colors, and designs and I thought I share some of my picks for farmhouse floor tile. By now, it is no surprise that I love farmhouse style, modern farmhouse to be exact. So here are some of my favorite farmhouse floor tiles. Each of these tiles are simple and pretty neutral in color. The hexagon tile is timeless and will never go out of style. In classic white, it is definitely one of my favorites. The marble tiles are a popular trend right now. These can get pricey, however, and if you get real marble there is some maintenance you will have to do. They are beautiful though. I love the first and last tiles I have on here. They scream modern farmhouse. I hope you enjoyed seeing some of my favorite farmhouse floor tile picks, and maybe even got some inspiration for your own home. Also, don't forget about the sale I have going on right now on storyboards. It's a great time to start decorating for Christmas. The holidays can be stressful and I would love to help you check one more thing off your list by helping you decorate your home for the holidays. :) Head over to my e-design page to see my storyboard options!